Irene Broma Sockwell was also known as Broma Irene Sockwell. She was born on 8 March 1898 in Georgia. As of before 1920,her married name was Bagwell. She married Carl Dewey Bagwell Sr., son of John Minor Bagwell and Olla Josephine 'Josie' Barrett, before 1920. Irene Broma Sockwell died on 9 June 1965 in Atlanta, Fulton County, Georgia, at age 67. She was buried at Resthaven Cemetery, Decatur, DeKalb County, Georgia. Children of Irene Broma Sockwell and Carl Dewey Bagwell Sr.
Patricia Claire Bagwell was born on 24 December 1920 in Atlanta, Fulton County, Georgia. She was the daughter of Carl Dewey Bagwell Sr. and Irene Broma Sockwell. As of before 1943,her married name was Gladden. Patricia Claire Bagwell married Joseph Brantley Gladden before 1943. Patricia Claire Bagwell died on 30 June 2001 in Norcross, Gwinnett County, Georgia, at age 80. She was buried at Resthaven Cemetery, Decatur, DeKalb County, Georgia. 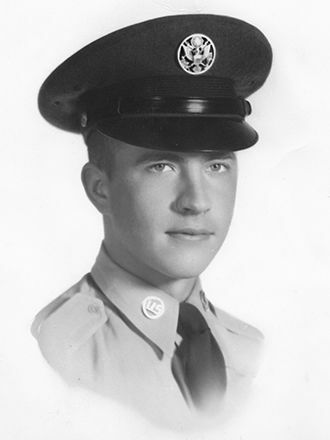 Joseph Brantley Gladden was born on 22 October 1917 in Decatur, DeKalb County, Georgia. He married Patricia Claire Bagwell, daughter of Carl Dewey Bagwell Sr. and Irene Broma Sockwell, before 1943. Joseph Brantley Gladden died on 21 June 1990 in Decatur, DeKalb County, Georgia, at age 72. Sara Adeline Bagwell was born on 13 September 1911 in Rutherford County, Tennessee. She was the daughter of Nathan Luther Bagwell and Lillie B. Morgan. As of 17 September 1930,her married name was Angel. Sara Adeline Bagwell married Vernon George Angel on 17 September 1930 at Nashville, Davidson County, Tennessee. Sara Adeline Bagwell died on 31 March 1991 in Louisville, Jefferson County, Kentucky, at age 79. Vernon George Angel was born on 28 August 1909 in Nashville, Davidson County, Tennessee. He married Sara Adeline Bagwell, daughter of Nathan Luther Bagwell and Lillie B. Morgan, on 17 September 1930 at Nashville, Davidson County, Tennessee. Vernon George Angel died on 4 May 1986 in Louisville, Jefferson County, Kentucky, at age 76. Nathan Luther Bagwell Jr. was born on 22 March 1913 in Tennessee. He was the son of Nathan Luther Bagwell and Lillie B. Morgan. Nathan Luther Bagwell Jr. died on 14 February 1954 in Nashville, Davidson County, Tennessee, at age 40. Walter Moore Bagwell was born on 1 January 1918 in Nashville, Davidson County, Tennessee. He was the son of Nathan Luther Bagwell and Lillie B. Morgan. Walter Moore Bagwell died on 27 October 1973 in Louisville, Jefferson County, Kentucky, at age 55. Andromedia Bagwell was born on 28 September 1920 in Smyrna, Rutherford County, Tennessee. She was the daughter of Nathan Luther Bagwell and Lillie B. Morgan. As of 30 May 1941,her married name was Noel. Andromedia Bagwell married (?) Noel on 30 May 1941. Andromedia Bagwell died on 5 January 2011 in Nashville, Davidson County, Tennessee, at age 90. (?) Noel married Andromedia Bagwell, daughter of Nathan Luther Bagwell and Lillie B. Morgan, on 30 May 1941. Mary Bertie Lee "Bertie" Rochester was born on 28 December 1912 in Washington. As of 12 September 1931,her married name was Bagwell. She married Frank J. Bagwell, son of George Washington Bagwell and Katherine "Kate" Miessen, on 12 September 1931.1 Mary Bertie Lee "Bertie" Rochester died on 9 January 1990 in Wenatchee, Chelan County, Washington, at age 77. She was buried at Wenatchee City Cemetery, Wenatchee, Chelan County, Washington. in Chelan, WA. He grew up ranching with three sisters: Vera, Jane and Shirley. in Tacoma, WA. Together, they had three boys: Brian, Allen and Glen. Joe was a functional test electrician, where he would initiate “power on” to completed Boeing 737’s. Joe retired from Boeing and resided in the Wenatchee Valley. In retirement, Joe enjoyed his family, friends, eating out for breakfast and coffee, metal detecting, fishing and watching the Atlanta Braves. Joe is survived by Brian Bagwell of Wenatchee, WA, Allen Bagwell of Oakland, CA, Glen (Jennifer) Bagwell of Riverside, CA; and three grandchildren: Jayden, Taryn and Conrad; sister, Vera Sorenson, Entiat, WA. September 5, 2015 at 11:00 a.m.
Vera Bagwell is the daughter of Frank J. Bagwell and Mary Bertie Lee "Bertie" Rochester. Jane Bagwell is the daughter of Frank J. Bagwell and Mary Bertie Lee "Bertie" Rochester. Shirley Bagwell is the daughter of Frank J. Bagwell and Mary Bertie Lee "Bertie" Rochester. Cynthia (?) married Joe Arthur Bagwell, son of Frank J. Bagwell and Mary Bertie Lee "Bertie" Rochester, after 1950. Carolyn Jean Work was born on 15 November 1933 in Pilot Oak, Graves County, Kentucky. As of after 1949,her married name was Bagwell. She married Drennon T. Bagwell, son of Ralph Ewing Bagwell and Mary Cleo Thurmond, after 1949. Carolyn Jean Work died on 24 December 2005 in South Fulton, Obion County, Tennessee, at age 72. Jane 'Yvette' Bagwell was born on 23 September 1933 in Calloway County, Kentucky.1 She was the daughter of Benjamin Franklin Bagwell and Thelma Grugett. As of after 1945,her married name was Freeman.2 Jane 'Yvette' Bagwell married James William Freeman after 1945.2 Jane 'Yvette' Bagwell died on 13 May 2009 in McCracken County, Kentucky, at age 75 Yvette Freeman, 75, of Paducah passed away at 2:25 a.m. Wednesday, May 13, 2009, at Lourdes hospital. Funeral services for Mrs. Freeman will be at 11:00 a.m. Friday, May 15, 2009, at Milner & Orr Funeral Home of Paducah with the Rev. Johnny Sams and James Ferguson officiating. Burial will follow at Mount Kenton Cemetery. Born in Murray, Kentucky, Mrs. Freeman was a member of Heartland Worship Center. She was employed by the City of Paducah Board of Education as a head start teacher, and was the owner and operator of Little Country Pre-School. Mrs. Freeman is survived of her husband of 59 years, James W. Freeman; one daughter, Beth Trena Wilson and husband Carey of Paducah; two sons, Terry Freeman and wife Cathy of Sharpe, and Ronald J. Freeman and wife Barbara of Coldwater, Michigan; one sister, Ruth Milo of Plymouth, Michigan. Mrs. Freeman is also survived by six grandchildren, Terry Freeman Jr. and his wife Tangela, Lucas Freeman, Erin Kennedy and husband Billy, Serena Wilson, Danny Freeman and Nicole Freeman; and five great-grandchildren. Her parents were Ben Bagwell and Thelma Grugett Bagwell. Friends may call after 5:00 p.m. today at Milner & Orr Funeral Home of Paducah. Published in The Paducah Sun, Paducah, McCracken Co., Ky., 1 Feb 2008 - BARDWELL, Ky. - Rev. Joe Bert Bagwell, 75, of Bardwell died Wednesday at Jackson Purchase Medical Center in Mayfield. Burial will be in Farmington Cemetery. He was a retired minister and served as pastor at Pleasant Grove, Sugar Creek, New Liberty, Oak Grove, Burkley and Moscow Baptist Churches. Mr. Bagwell was head of the Carlisle County Adult Education Office. Surviving are his wife, Sara Bagwell; son, Joe William Bagwell; two daughters, Diane Dalton and Susan Hardison; two brothers, Ted and Charles Bagwell; four grandchildren; and five great-grandchildren. Charles Thomas Bagwell was born on 7 September 1929 in Kentucky. He was the son of Samuel Burnett Bagwell and Maurine Chester. He was a Sergeant in the US Army during the Korean War. Charles Thomas Bagwell died on 13 November 2017 at age 88. He was buried at Great Lakes National Cemetery, Holly, Oakland County, Michigan. Joe William Bagwell is the son of Reverend Joe Bert Bagwell and Sarah Nell Moore. Diane Bagwell is the daughter of Reverend Joe Bert Bagwell and Sarah Nell Moore. Susan Bagwell is the daughter of Reverend Joe Bert Bagwell and Sarah Nell Moore.